With great looks and improved features the 8' Air Hockey Game is sure to provide an authentic arcade table game experience with side scoring that includes extra bright extra large digital numbers. 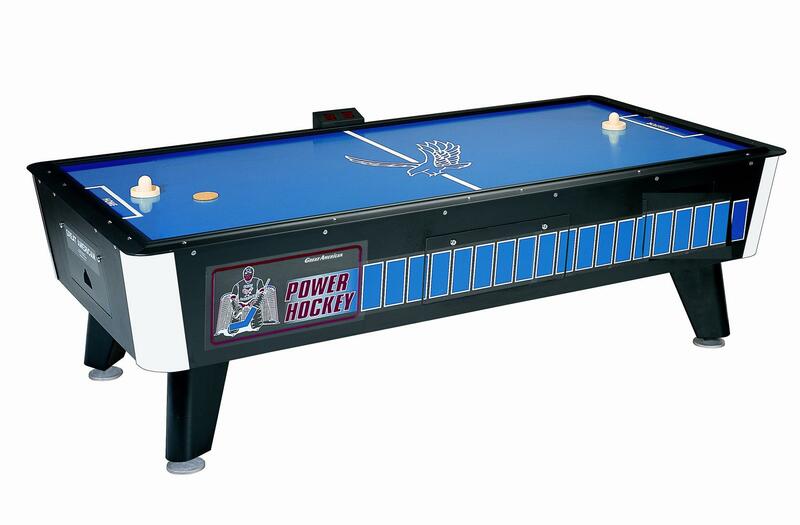 This air hockey table features wide goals which promote super speed action and all around custom oversized aluminum rails which prevent Air Hockey Pucks from flying off the table. This Air Hockey Table includes a cabinet grade 3/4 plywood construction and has ABS injected legs with adjustable leg levelers. The internal Air Hockey puck drop system with hinged panel allows for easy service access at each cabinet end no tools required.